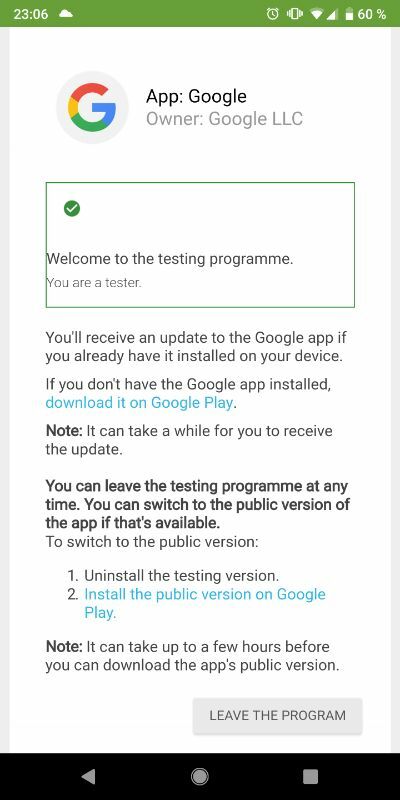 First, you need to visit the Google app beta page on TestingCatalog and tap on the green colored 'BECOME A TESTER' button at the bottom of it. When you get to the Android App Testing for the Google App, you will see a button with the same 'BECOME A TESTER' label. If you have already been signed in, you'll be able to select it. Also, don't miss to like the Google beta page on TestingCatalog to get the latest news regarding it. Search for "Google" on the Play Store or visit this link on your phone. It will redirect you to the info page for the app. Scroll to the bottom of the page to the 'Become a beta tester' section, and then tap the 'I'm In' button. To leave the beta program, you have to select the 'Leave the program' button on the web sign up page or the 'Leave' button within the Play Store. The Google app is deeply integrated into Android. 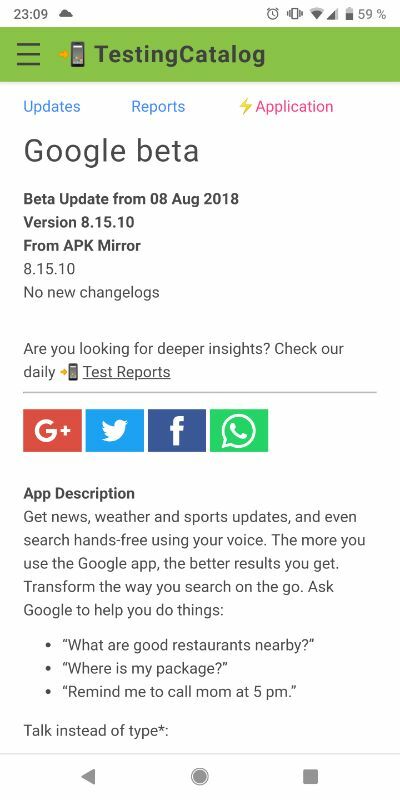 It provides many features like the Google Feed which is accessible from a lot of launcher apps, e.g. the Pixel Launcher. The app also enables the Assistant and Now on tap on Android devices running Android 6.0 and above. 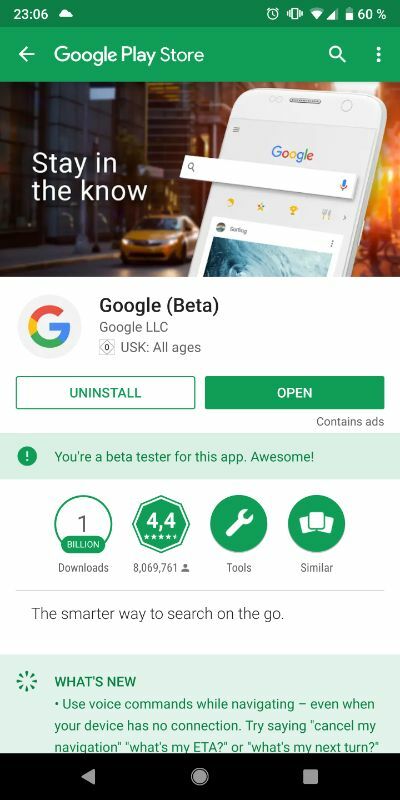 By installing the beta you get all of the latest features and improvements Google is planning on releasing. Also, be sure to check out the update reviews and reports from our daily reports blog at TestingCatalog.